Welcome to the virtual book tour for Queen Mary’s Daughter by Emily-Jane Hills Orford. She took some time out of her busy schedule to let us get to know her and her book a bit better. There’s so much great history here with the story behind the story! Please enjoy it and then ask Emily-Jane some of your own questions in the comments. Please also follow the tour for more fun and even more chances to enter the giveaway at the end. 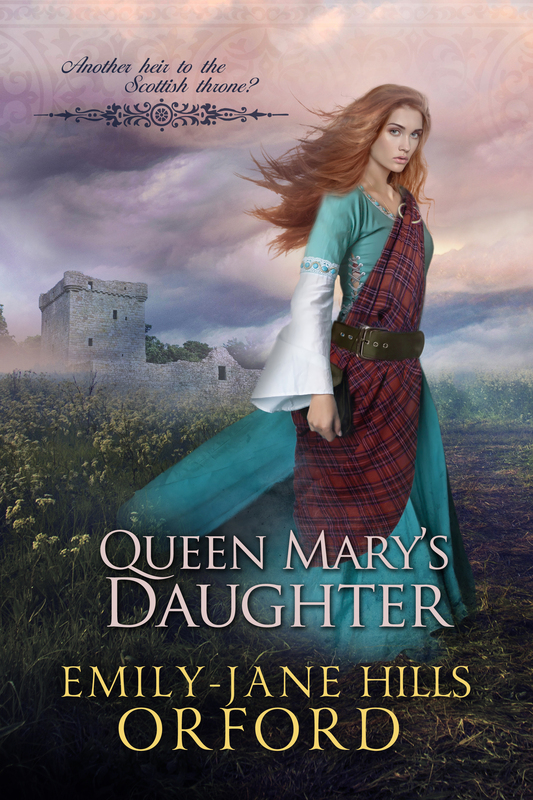 There were a lot of things that spurred me to write “Queen Mary’s Daughter”. My grandmother and I had a special relationship and, when I was old enough, we traveled together a lot. One special trip took us to Scotland where we traced her childhood memories (she was born in Scotland). We also followed the trail of Mary Queen of Scots. We had been enjoying a number of novels and biographies about the ill-fated queen and my grandmother ignited my interest by telling me about ancestors who helped in her escape from Loch Leven Castle. I always wanted to write about Queen Mary, but it wasn’t until the Brexit debacle and the ongoing desire of the Scottish people to separate from England, that I started looking more closely at the stories around Queen Mary. I knew she had given birth, prematurely, to twins while imprisoned at Loch Leven. History records that the babies died at birth and were buried on the island where the castle sat. An interesting footnote states that the location of the burial and the babies’ remains have never been found. So, I started thinking, ‘what if?’. What if there had been another heir to the Scottish throne and Scotland never did amalgamate with England and Ireland? And my story unfolded. Lots. Online. Books. I read a lot of books: history, biography, fiction. I also use the internet. Who wouldn’t in this day and age. It’s quick, easily accessible and more current. But one has to be careful what sites to believe. There’s a lot of garbage and falsehoods on the internet, along with all the good stuff. It is all interesting. I think the clincher was the footnote that suggested that Queen Mary’s dead twin babies were never found. I somehow knew I could weave a story around the missing twins. So, the historical part of my novel required research to confirm facts. The fantasy that developed the alternate timeline was woven out of my vivid imagination. Marie de Guise, the mother of Mary Queen of Scots, grandmother of the main character, Mary Elizabeth. I fashioned this grandmotherly figure after my grandmother (Gran): smart, bright, full of life and full of stories. It’s been over twenty years since Gran passed away, but not a day goes by when I don’t think of her and find a way to place her in one of my stories. She always said we’d soon forget her once she passed away. I’ve proven her wrong. But that was the only thing she was wrong about (to my knowledge, anyway). When the main character, Mary Elizabeth, meets her mother, Mary Queen of Scots, on the eve of the ill-fated queen’s execution. Why? It’s the powerful mother-daughter meeting. The first time they really get to be together. So much to say, so little time to share. It’s both sad and earth-shattering and full of powerful desires to spend more time together. And it ends too soon, too sudden, with barely a moment for a proper farewell. It exudes the power of the mother-daughter bond. Yes. The sequel is in the works. “King Henry’s Choice”. More time travel. More possible alternate timelines. More what ifs. I guess my initial response to this would be, why not. As an avid book reader (and book reviewer), I read all kinds of genres. And I’ve learned something from each of the books I’ve read. I’d like to think that I’ve created something that will not only entertain readers, but will also teach them something, not just about Scottish and English history, but also about possibilities and letting one’s imagination loose to explore all these possibilities. I’m not sure if I do stand out, as I’ve kind of created a whole new genre. It’s part historical fiction, part science fiction, part fantasy and whole lot of fun. Perhaps that’s how I stand out. I write a lot. I have over twenty books published. I’ve contributed to various anthologies. And I write a lot of articles and short stories. 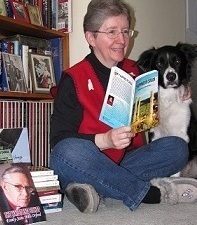 My short pieces can be found regularly online on such sites as https://insteading.com/ and http://www.curiousguide.ca/ These are mostly memoir/creative nonfiction stories which I love to write and which gave me my start in writing, as you will see from my list of books on my website: http://emilyjanebooks.ca Music dominates much of my writing. I came from a very musical family and I am a retired music teacher. My first series of novels, “Spring”, “Summer”, “Autumn” and “Winter” all feature a classical musician with a valuable instrument that has a mystery behind it. Book five in this series, “Songs of the Valley”, is currently in the works. I love to write about things I know. Several books and stories are in the works. I also just released a Middle Grade fantasy novel, “Mrs. Murray’s Ghost” (TellTale Publishing), which is part of a series. It’s based on my childhood memories, dreams and fantasies growing up in a haunted house. As I mentioned earlier, “King Henry’s Choice”, the sequel to “Queen Mary’s Daughter” is also in the works. I like to have several projects on the go so I don’t tire and grow stale writing about one topic, one plot, one set of characters. I like to think this process enriches my writing. I like to start my day with a good dose of writing. I call this my practice. Just like musicians have to practice their instruments, writers also have to practice their writing. Once this practice is done, my day is off to a good start. I launch into one of my novels and write as much as the mood inspires me. Then I take my dog for a walk. We discuss story ideas (yes, I do talk to my dog). I come back from the walk, work on some other creative projects (I also paint, compose, and do needleart). Then I return to my writing about mid-day and plow through some work that have deadlines. Since I also write book reviews, I view this as part of my writing process/routine. I read and write reviews in the afternoon before returning to my larger projects: my novels. The same advice I share with my writing students: to keep writing and never give up. Even when the rejection letters start piling up. My dog. I even wrote his story, “To Be a Duke”. Sadly, it’s out of print. Depends on the time of year, I guess. I’m close to the capital city of Canada – Ottawa. There’s lots of museums and historical sites. My favorites are the National Gallery of Art. A day at the gallery, followed by lunch in the gallery restaurant and then a stroll through the historic market district. Then top it off with an evening’s performance (music, dance or theatre) at the National Arts Centre. Or, if you’re a country person, which I am, a nice long hike on one of our many scenic trails. What every writer wants: to be a bestselling author. I love to hear from my readers. I have a fan in Australia who loved my earlier novels. I hear from her on occasion. I appreciate all the comments and reviews people post on Amazon and Goodreads. It helps. It really does. Emily-Jane Hills Orford will be awarding a $10 Amazon or Barnes and Noble GC to a randomly drawn winner via rafflecopter during the tour.